Columbia Legal Services represents communities facing poverty and oppression, and we use every legal tool available on their behalf. CLS has a special responsibility to serve people whose access to free legal services is restricted, due to institutionalization or immigration status. Through impact litigation, policy reform, and innovative partnerships, our staff works together to further our mission to achieve social and economic justice for all, and to reveal and end actions that harm the communities we serve. We share a deep commitment to serve and advocate alongside our clients as we seek justice together. The Institutions Project is seeking one law student intern or extern to assist with their litigation and policy advocacy. This position is unpaid and is generally self-supported through school credit, work-study, or through fellowships and public interest grants. Strong research and writing skills and interest in the criminal justice system are preferred. Institutions Project priorities include treatment of youth in the juvenile and adult criminal justice systems, conditions of confinement in Washington’s jails and prisons, and legal assistance for people reentering the community following incarceration. The Laurel Rubin Farm Worker Justice internship is funded at $6,000 (expected—final amount TBD) for the summer, and requires fluency in English and Spanish. Laurel Rubin Interns support litigation and policy efforts to improve wages and work conditions in concert with farmworker groups engaged in self-organizing, and to address systemic civil rights issues for immigrants in farmworker communities. Interns will engage in investigation, legal research and writing and community outreach, primarily to labor camps. For complete information and to apply here. ELAW is a network of public interest environmental lawyers and scientists who use the law to protect the environment and human rights. We provide legal and scientific resources to grassroots advocates in approximately 70 countries. Legal interns assist the Staff Attorneys in responding to requests for assistance. These requests generate both short and long-term projects. 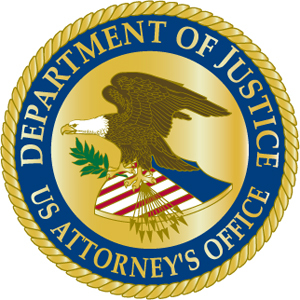 Projects may include legal research (US and international law); identifying model statutes and regulations; or evaluating legal doctrines and theories. Interns prepare memoranda to send to overseas advocates and communicate directly with these lawyers. ELAW Staff Attorneys work with interns and oversee all projects. Successful applicants generally possess excellent research and writing skills and a strong dedication to public interest environmental law. Proficiency in a language or languages other than English is preferred, but not required. ELAW actively seeks applicants from diverse backgrounds. The internship is full-time on a volunteer basis during the summer of 2019 (approximately 10 weeks). Many students qualify for school credit or obtain public-interest stipends/fellowships. For further information and to apply here. The Immigrants’ Rights Clinic (IRC) at Stanford Law School invites third-year law students and recent law graduates to apply for a new Immigrants’ Rights Litigation and Advocacy Fellowship. The Fellow will participate in all aspects of the Clinic’s litigation and advocacy docket, including representing immigrants facing removal and cutting-edge work to address recent enforcement practices, but will not participate in the supervision and teaching of law students. The fellowship will be for a two-year fixed-term period, starting in Fall 2019. Legal Services of New Jersey invites applications from first and second year law students for the Deborah T. Poritz Summer Public Interest Legal Fellowship Program beginning in May 2019. Since inception, 30 years ago, this has been the premier opportunity for students committed to or considering public interest and poverty law to learn about the challenges and rewards involved. Interested students are encouraged to apply as early as possible, as hiring decisions will be made on a continuing basis. For more information and to download an application here. 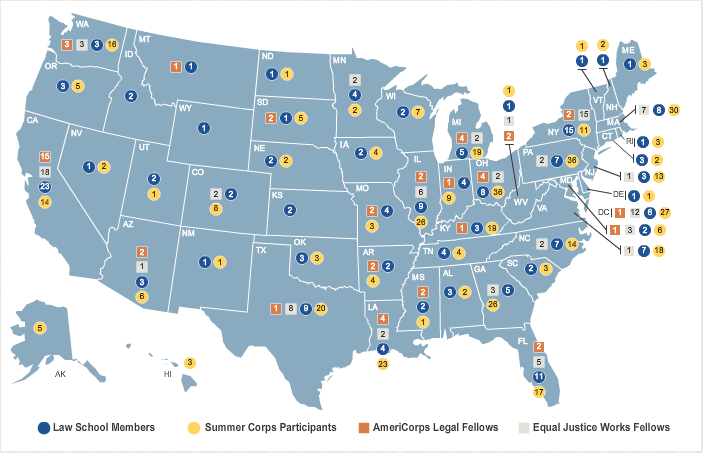 Yakama Nation 2019 Summer Legal Fellowship Program (Paid). 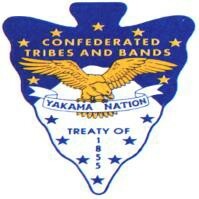 The Confederated Tribes and Bands of the Yakama Nation is a federally recognized, sovereign Native Nation with inherent sovereign and Treaty-reserved rights and interests. In the Treaty of 1855 (12 Stat. 951), the Yakama Nation reserved the exclusive use and benefit of its 1.4 million acre Reservation located in south central Washington State for its 11,000 enrolled members. The Yakama People continue to live by their unwritten laws, customs, and traditions as they have done since time immemorial. Position Description: The Yakama Nation Office of Legal Counsel (“OLC”) is excited to offer the opportunity for students to work alongside our in-house legal team for the Confederated Tribes and Bands of the Yakama Nation (“Yakama Nation”). Our seven staff attorneys provide high quality, cost effective, culturally competent civil legal services to the Yakama Nation Government and its departments and programs at the direction of the Yakama Nation Tribal Council. OLC’s legal practice is broad in both scope and substance. We litigate in Yakama, federal, state, and local forums, negotiate contracts, develop laws consistent with Tribal Council’s policy direction, facilitate government-to-government consultations, and provide other general civil legal services. Our Staff Attorneys assert and defend the Yakama Nation’s inherent sovereign and Treaty-reserved rights and interests related to fish and wildlife, natural resources, cultural resources, healthcare, employment, taxation, economic development, and land use planning, to name a few. We are looking for candidates with a demonstrated interest in advocating for the sovereign rights and interests of original, free, and independent Nations and Peoples. Applicants should be comfortable working in a fast paced and collaborative team environment, and have established legal writing and research skills. Applicants must also be willing and able to work daily from OLC’s offices at the Yakama Agency in Toppenish on the Yakama Reservation. 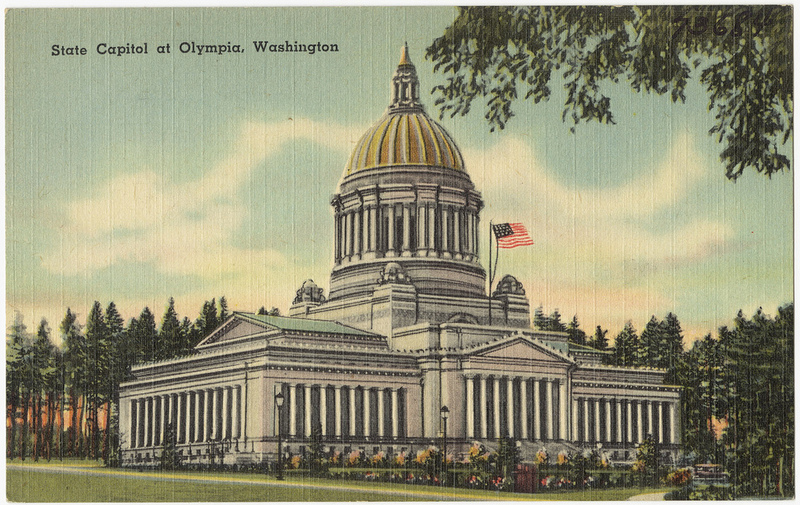 The City of Olympia is accepting applications for two contract public defenders to represent indigent defendants in the Olympia Municipal Court. Position one is a 280 case credit max position with an opportunity to carry a misdemeanor/gross misdemeanor caseload. Position two is a 300 case credit max position with primary focus on working as an attorney of the day in community court, appear on the out of custody arraignment calendar, and carry an adjusted misdemeanor/gross misdemeanor caseload. Applicants must be a member in good standing with the Washington State Bar Association with a minimum of five years criminal defense experience. Experience handling public defense cases is preferred. Contract period for both positions run from January 1st, 2019 through December 31st, 2019, with a possible option to renew. The flat rate monthly compensation for position one is anticipated to be based on the following scale: 280 case credits/year=$5,786.66/month. The flat rate monthly compensation for position two is anticipated to be based on the following scale: 300 case credits/year=$6,200/month. For a complete job description and to apply here. Law clerks will gain exposure to a broad range of civil liberties and civil rights issues and the opportunity to improve legal writing and research skills. Students receive a $1750 stipend for the term of the internship. Apply for this position here. 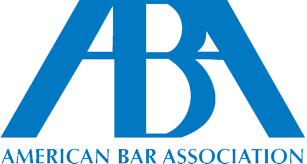 In order to apply for the ABA Business Law Section Diversity Clerkship Program, sponsored by the Business and Corporate Litigation, Diversity and Inclusion, and Judges Initiative Committees, applicants must meet the following criteria: (1) be currently enrolled as a first or second-year student in good standing at an ABA accredited law school J.D. program; (2) be a minority group member (students of color, women, students with disabilities, gay, lesbian, bisexual or transgendered students) or have overcome a social or economic disadvantage such as a physical disability, financial constraints, or cultural impediments to becoming a law student; (3) demonstrate financial need; and (4) be a member of the ABA Law Student Division and the Business Law Section. Law students selected to participate in the program will receive a clerkship with a business court judge in one of several locations, including but not limited to Pennsylvania, Delaware, Michigan, North Carolina, and Illinois, and a stipend of $3,000. All application materials must be received no later than January 7, 2019. Selected clerks will be notified in March 2019. Legal Interns will support the work of legal counsel to identify and respond to legal and administrative obstacles to voter participation and election administration. Interested students can learn more and apply here. The legal interns will be immersed in all aspects of the Center’s substantive legal work and earn a $3,500 stipend for the 10-week internship. Apply for this opportunity here. Interns will work with attorneys and staff to support ACD’s mission of providing holistic legal advocacy to indigent clients, and expand the reach of the ACD. Students interested in this internship can learn more and apply here. Organization: Mountain State Justice, Inc.
Legal interns will protect the rights of low-income West-Virginians in their internships. Accepting applications for both spring and summer internships. Students can learn more about these opportunities and apply on PSJD.org. Legal Interns assist the staff attorneys in responding to requests for assistance in protecting the environment and human rights. Learn more about this position and apply here. Interns will support representation of clients with all types of disabilities. If interested, please submit a resume and a cover letter detailing your interest in disability law to tadra.martin@disabilityrightsnc.org. Interns assist attorneys in researching children’s rights issues, writing legal and policy memoranda, and supporting ongoing litigation and legislative initiatives. Learn more and apply for this position here. Earthjustice is seeking summer law clerks who share a passion for justice and a healthy environment. The law fellow works closely with ELI attorneys and other professionals, including U.S. and international partners, to advance environmental protection by analyzing existing legal tools, developing new ones, and crafting innovative approaches. This may require considering how environmental protection is affected by other laws and policies that are related to environment and society —e.g., those governing energy, taxation, land use, human rights, and administration. ELI summer law clerks work closely with ELI experts on domestic and international projects spanning ELI’s full range of expertise. Law clerks also may assist in the editing and production of ELI publications, such as the Environmental Law Reporter. Law clerks provide crucial support for ELI projects and publications by conducting legal and policy research, drafting memoranda, attending and reporting on briefings and current events, and assisting in the preparation of reports and other published materials. This position also will include working with ELI members and staff on programming for a conference planned for September in Seattle on Innovation, Change Management, and Environmental Law in the Next 50 Years. Stipend: The clerk will be paid $6,500 for the summer and must commit to working with ELI for at least 10 weeks. Paid Fellowship Laurel Rubin Farmworker Justice Project, CLS Externships/Internships, Washington State Labor Council, and more! The Northwest Justice Project Farmworker Unit seeks summer interns to assist experienced attorneys in serving migrant farm workers through farm labor camp outreach, community education and legal work. Summer law students form an outreach team to share resources and legal information with migrant farmworkers throughout the state of Washington. Law students will work with attorneys on ongoing cases and projects, including farmworker sexual harassment cases and community education, pesticide safety, wage theft, and advocacy related to the H-2A temporary visa program for farmworkers. Northwest Justice Project is the LSC funded staffed Legal Services program for Washington State. The positions are focused full –time on farmworker advocacy. 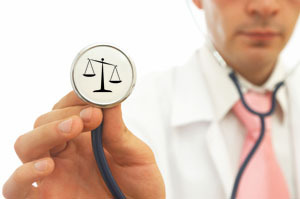 The Medical Legal Partnership works in partnership with providers at Seattle Children’s Hospital, Harborview Medical Center and Valley Cities Counseling and Consultation to address patients’ health-harming legal needs, including accessing Medicaid-funded care and therapy, reducing the length of hospital stays, obtaining guardianships for disabled adults and a variety of other issues. More information available at http://www.washingtonmlp.org/. We offer internship and externship opportunities for law students throughout the year, on an as-needed basis, with the most capacity in the summer. Externs and Interns are given the opportunity to participate in systemic advocacy on behalf of low -income people by engaging in legal research and writing, policy advocacy, and community outreach and education. We are only able to offer unpaid positions that are self-supported, generally through school credit, work-study, or through fellowships and public interest grants. Working on legislation to improve the situations of thousands of unaccompanied youth and young adults living in homelessness. 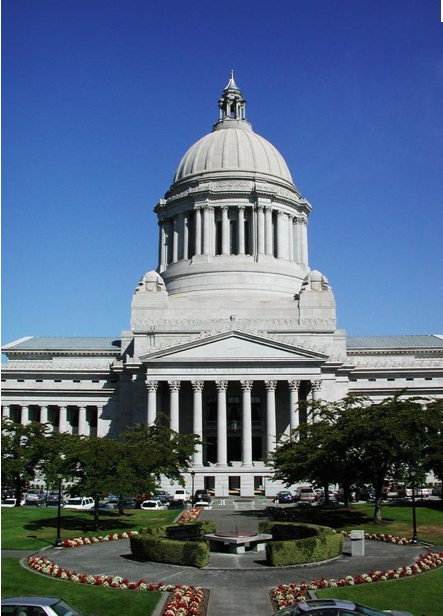 The Washington State Labor Council, AFL-CIO, is seeking a full-time legislative intern beginning Wednesday, Jan. 9, 2019, for the 105-day legislative session that begins the following Monday, Jan. 14 to help develop and coordinate legislative advocacy for Washington working families. This is a fun and challenging opportunity to learn more about issues important to working families, our labor movement, public policy and the legislative process. Plus, there are many opportunities for interns to pursue and develop their own policy interests and to build relationships with affiliated unions, legislators and coalition partners. 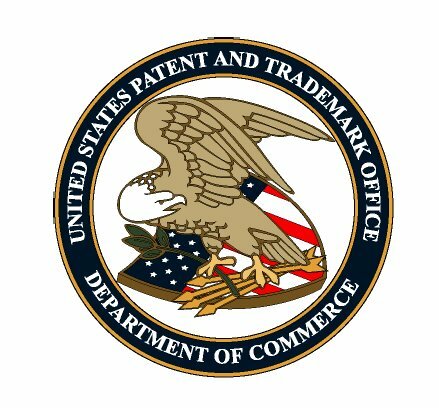 The U.S. Patent and Trademark Office has been serving the economic interests of America for more than 200 years. Headquartered in Alexandria, VA, the agency has over 12,000 employees, including engineers, scientists, attorneys, analysts, IT specialists, etc. dedicated to accomplishing the mission, vision, strategic goals and guiding principles. Please visit the USPTO Careers Website. Law for Black Lives is partnering with Ayuda Legal Puerto Rico, Community Justice Project, and The Detroit Justice Center to host a summer internship next year. We’ll have an opening retreat and cross-organizational exchanges, so interns can learn about varied approaches to Movement Lawyering across Detroit, Miami, Puerto Rico, Memphis, and NYC. 1L applications are due on December 15th! Through collaboration and capacity-building, Fellows, mentors, and civil society leaders form dynamic partnerships to capacity-build, exchange knowledge and skills, and share a mutual passion for advancing social and economic development. Fellows serve on an annual basis from September to July with development organizations across India. More info through PSJD here. The ACLU Human Rights Program is now accepting applications for Summer 2019 legal internship positions. The internship posting is available here. 2Ls and 1Ls interested in domestic human rights work would make a perfect fit. ACLU will begin interviewing 2Ls soon and will begin accepting 1L applications on December 1st. Northwest Immigrant Rights Project (NWIRP) is the only nonprofit organization providing comprehensive immigration legal services to immigrants with low income across Washington State. NWIRP promotes justice by defending and advancing the rights of immigrants through direct legal services, systemic advocacy, and community education. We provide services to Washington State residents in affirmative and defensive immigration cases. We also serve persons detained at the Northwest Detention Center in Tacoma. Positions are available at offices in Granger, Seattle, Tacoma, and Wenatchee. The internship is open to first, second, and third year law students. 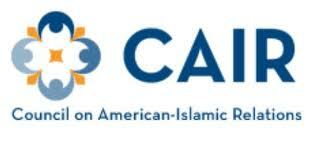 Applicants should have excellent written and oral communication skills, an interest in immigration law, an ability to work in a diverse and fast-paced work environment, and a commitment to advancing and defending the legal rights of low-income immigrants and refugees. Applicants proficient in Spanish are strongly preferred for Granger and Wenatchee offices. Internships are unpaid, but NWIRP will work with applicants to secure outside funding or academic credit. 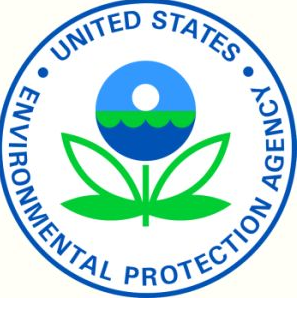 The Office of Regional Counsel, U.S. Environmental Protection Agency, Region 10, is seeking applications for a two-year position in our Honors Attorney Fellowship Program in Seattle, Washington. Applications are due by November 14, 2018, and the position will begin in August-September 2019. The Honors Attorney Fellowship Program is designed for 2019 law school graduates and recent graduates completing judicial clerkships. Candidates with excellent academic credentials, including strong research, writing, and verbal skills and a demonstrated interest in an environmental law career/public service are encouraged to apply. The position provides an opportunity to practice law in a leading governmental environmental organization. Fellows will be given a challenging caseload that includes enforcement and counseling legal work and will receive training and mentoring from experienced colleagues with recognized expertise. 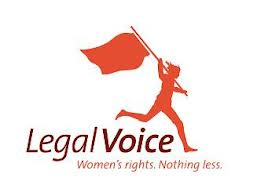 The legal intern will engage in policy analysis or key pieces of state legislation around the country and gain experience working in state and national coalitions working to advance reproductive rights. Law students can learn more and apply here. Interns will work directly with clients, engage with communities, and contribute to systematic advocacy efforts to advance economic and racial equality. To learn more about this position and apply, click here. 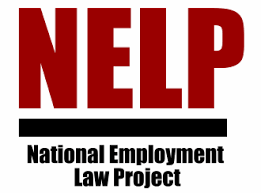 Legal interns will assist NELP attorneys in all aspects of work including providing legal and policy assistance for campaigns, drafting reports, and preparing memos. Interested students can learn more and apply for this position here.